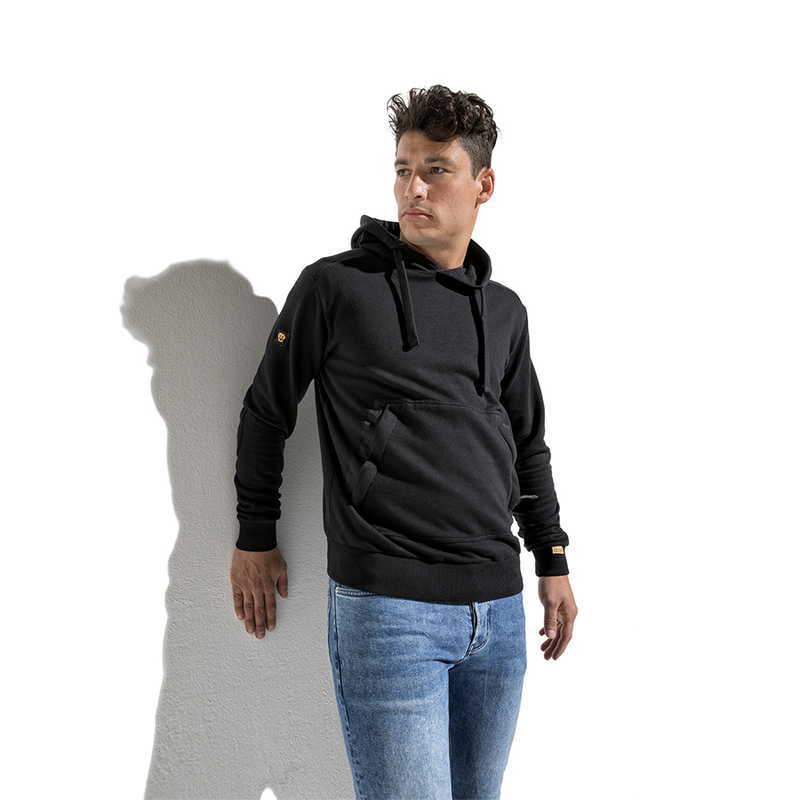 Black hooded sweater with 2 pockets with zipper closure and elbow patches. Only 360 pieces in black color available, each hoodie has a unique label on the left bottom cuff which shows the unique number within the series of 360 pieces we made of this collector’s item. The number will be in the range of 001/360 to 360/360. It is not possible to choose a number.